Speed Dating – WITS created “speed dating” for winery and brewery CIOs and technology companies. This will provide opportunities for quality one-on-one time with key decision makers and thought leaders. Plus Beer, with BITS – WITS has united leaders in the craft brewing industry to add the Beer Industry Technology Symposium (BITS™) track that runs concurrent with WITS. “The rapid proliferation of craft brands in wine, spirits and beer is creating unique challenges for all industry participants,” said J. Smoke Wallin, WITS Co-Chair. “WITS is the only place where winery, brewery, distillery, retailer and distributor leaders can sit side by side for a day of learning and discussion to tackle these challenges with CIOs and technology leaders from across the industry,” he added. The WITS Steering Committee, comprised of technology and business leaders across the wine, beverage and technology industries, is currently finalizing panel topics and keynote speakers. Past speakers have included the CEOs, CIOs and other leaders from Amazon, Facebook, Groupon, Gartner Group, garyvaynerchuk.com, FedEx Office, Nielsen and 1800-Flowers, as well as experts from IBM, Oracle, Cornell University, UC Davis, Sonoma State University and many others. Attendees and sponsors are encouraged to register early, as space is limited and expected to sell out quickly. Registration will open May 1, 2015. For more information visit www.wineindustrytechnologysymposium.com. The Wine Industry Technology Symposium® (WITS®) is the focal point for thought leadership in the strategic and tactical use of technology in the global wine industry. WITS was created in 2005 by a group of wine industry and technology professionals to advance innovation and to address the unique information technology and services needs of the wine industry. The 11th annual WITS is June 25-26, 2015 in Napa, CA. For the 2nd year, WITS also includes the Beer Industry Technology Symposium™ (BITS™) track. Join WITS on Youtube, Twitter, Facebook, and LinkedIn to learn more. For more information, contact Lisa Adams Walter of the Wine Industry Symposium Group at 707-666-2525 or lisa@winesymposium.com. 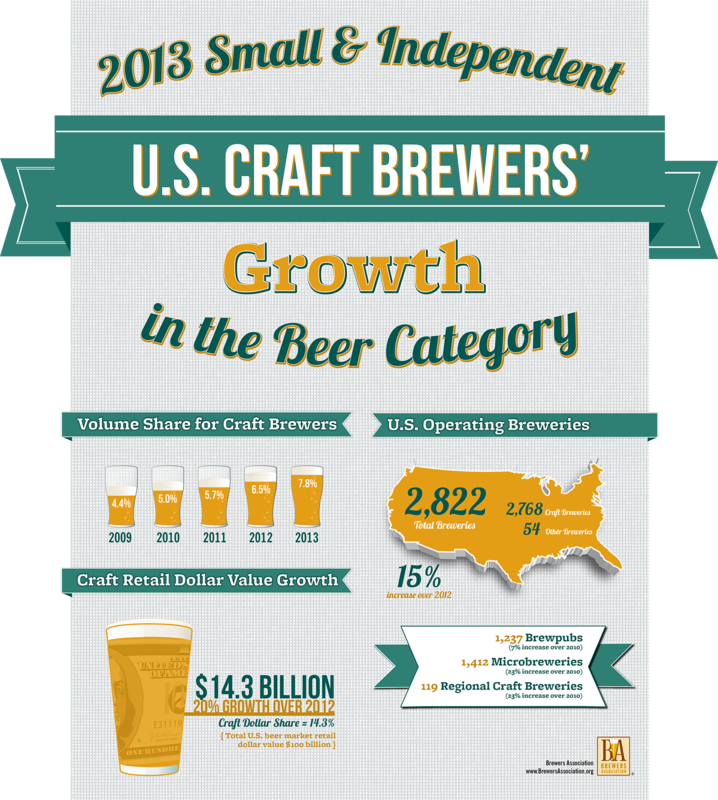 Craft Beer Sales Boom Continues… Best Is Yet To Come. Pretty incredible numbers – going from 4.4% volume share in 2009 to 7.8% in 2013. On a dollar basis, even more impressive with a 20% increase over 2012 to $14.3 billion, giving craft beer a 14.3% share of the $100 billion US beer market. The number of breweries grew at a slightly slower pace (15%), giving slightly more sales per brewery. This is a booming market and with that there are multiple new entrants and there will be inevitably, winners and losers. That said, a growing market makes up for a lot of mistakes and there are a lot more winners right now than not. The key is matching investment to real potential in any particular INDIVIDUAL business. A growing market is good for everyone, but it does an individual aspiring brewery little good if they spend too much on their building, don’t brew great beer that people enjoy, don’t create a brand that resonates with consumers and market place, take too long to get up and running, hire the wrong time, don’t know what their numbers are or what the right things to measure are, run out of money, etc. I could continue, but there are a ton of ways to be unsuccessful in this space, no matter what the growth is. Yes, technology is in the name and there will be a bunch of things at the 2 day event that revolve around technology, but that is NOT the main point. The main point is what I am talking about above. 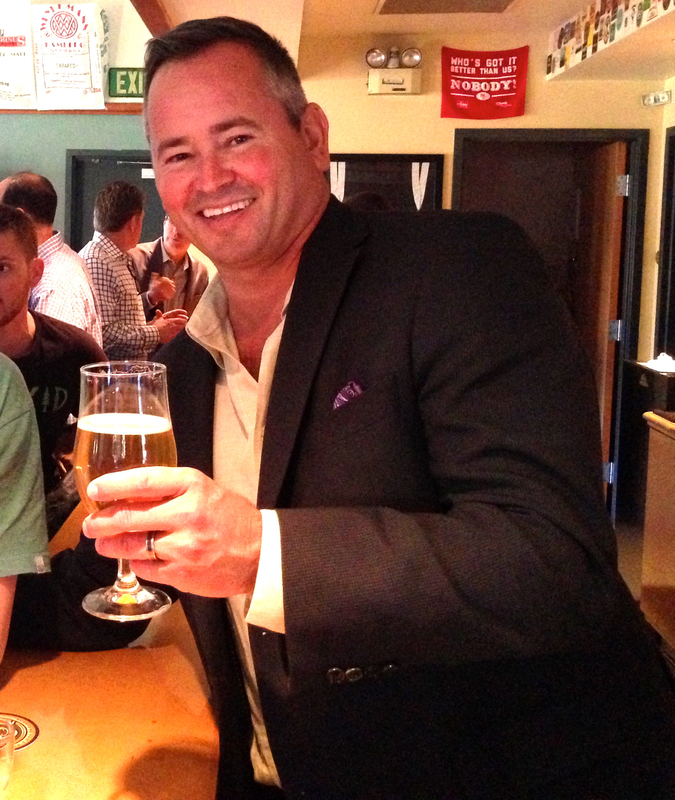 There are so many challenges with running any new business and craft beer is no different. With all the new players and the many existing players who are experience growth beyond their wildest expectations, these businesses need sound strategic thinking around what matters. Technology is not “What Matters”, but it is the great enabler that in 2014, done right, can create the conditions for a successful business venture. Thinking through the myriad of options and what exactly one is trying to do is critical before you even start your brewery. If you already have one, and skipped this part of the planning, it is never to early to get on it and address these issues. What a terrific message and a boost to the craft brewing industry at the same time. I reached out to the Siemens team and they jumped at the opportunity to be a part of the first BITS. How cool! This is also true of the California Craft Brewers Association who joined us recently as a GOLD sponsor and are marketing the BITS event to their 200+ members in CA. BITS will be announcing these and many other great contributors in the form of keynote speakers and panels who are lining up to be a part of what we hope will become a must attend event for everyone in the industry who wants to be smart about running their business. Please reach out to me directly if you’d like to get involved. Registration will open up in mid April. The craft brewing industry is in its preteen days… there is much growth in front of us and a lot of learning and growing up. This is an opportunity for collaboration with fellow breweries and professionals and leading edge thinkers in technology on how to grow up and be successful in your beer business. The best is yet to come!